You must meet certain qualifications for each type of bankruptcy in order to be eligible to file. For Chapter 7 you must pass a means test but not have too high of an income. For Chapter 13 you need to have enough income to pay for your three to five year repayment plan. You can also not qualify for Chapter 13 if your debts are too high or your income too low. 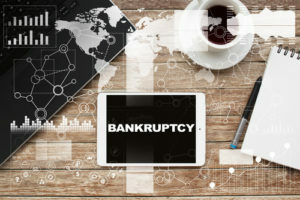 The two most common types of bankruptcy are Chapter 7 and Chapter 13. Chapter 7 is a quick (three to six months) process where many, if not all, of your debts are cancelled. Chapter 13 involves a three to five year repayment play on your debt that you use your income to pay for. While filing for bankruptcy can eliminate your obligation to many unsecured debt like credit card debt and medical bills, there are non-dischargeable debts that will survive. Things like child support obligations and student loans are two examples of such debt. Will You Lose Your Vehicle and Other Property? They vary from state-to-state but there are exemptions that exist that may help you keep your vehicle and other property. It also depends on whether or not you put up that property as collateral for your debt. If you have, it means the creditor will have a lien on your property and you will be expected to keep paying off that debt following your bankruptcy. If you cannot afford to, then the creditor has the power to repossess your property. What About My Home? Can I Keep It? Bankruptcy will not make it so you do not have to pay your mortgage. It might make it easier to pay your mortgage if you end up relieved of other debts. Under Chapter 7 bankruptcy, if you have a considerable amount of equity in your home you might lose it, pending the state’s exemptions. Under Chapter 13, you can keep your home as long as you pay off your mortgage through your repayment plan. How Will Bankruptcy Affect Your Personal Life? When filing for bankruptcy you must disclose every detail of your finances to the court. It can be intrusive and other people may find out about your bankruptcy. You should also take note that it will negatively affect your credit score. Not to mention you might end up losing property or spending several years asking for permission to spend your own money. It is important to know that alternatives to bankruptcy do exist. Those who do not qualify or do not feel bankruptcy is right for them can pursue these options. Speaking with an experienced bankruptcy attorney can help you explore other viable options. When it comes down to it, the bankruptcy process is involved and requires tedious work and great attention to detail. It is not something you should handle on your own. Instead, you should consult the Law Office of Joel R. Spivack in New Jersey. Mr. Spivack has more than 25 years of helping clients make smart, informed decisions about bankruptcy filings and other options. He will be your guide through the process and make sure you end up on track to a stable financial future. All you have to do is fill out the online contact form today to begin speaking with an experienced bankruptcy attorney.